it is the care and dedication that each year we follow the life cycle of the old Prince, the native of trentino excellence. 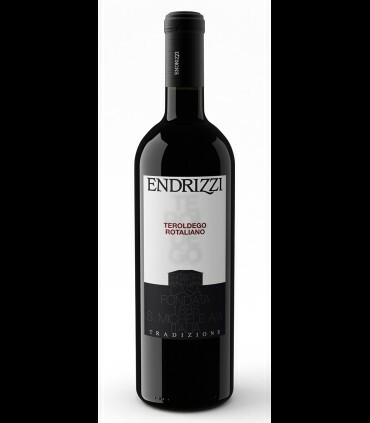 The Sommelier: the Wine from the native grapes Toroldego Rotaliano from thedeep ruby red color with garnet reflections. Vino, consistent with its 13,00 %vol, clear. On the nose intense perfume of black currants, berries; on The palate, complex flavor with a reminder of the fragrances, balsamic and velvety, rightly tannic, robust, balanced and persistent finale. Uncork and decant, serve at a temperature of 18°C, in a cup Ballon. Wineries: the Valley of Cembra, the alpine landscape of rare beauty, the land of “heroic viticulture” of the Trentino-Alto Adige. Generations of wine-growers with the commitment they have built and shaped one of the most suggestive of Trentino.The Pellegrini family is an ambassador of the beauty and Villa Corniole is... go to the tab.